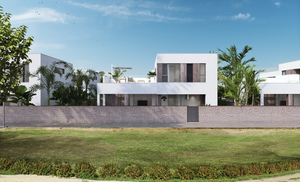 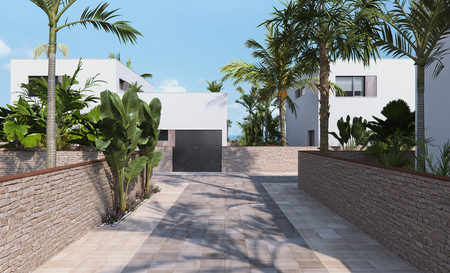 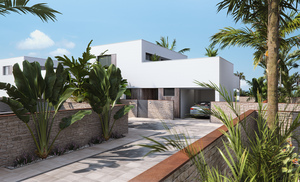 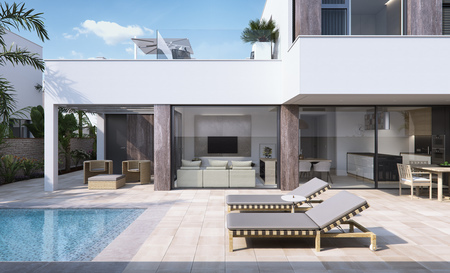 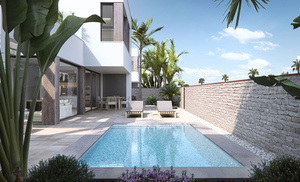 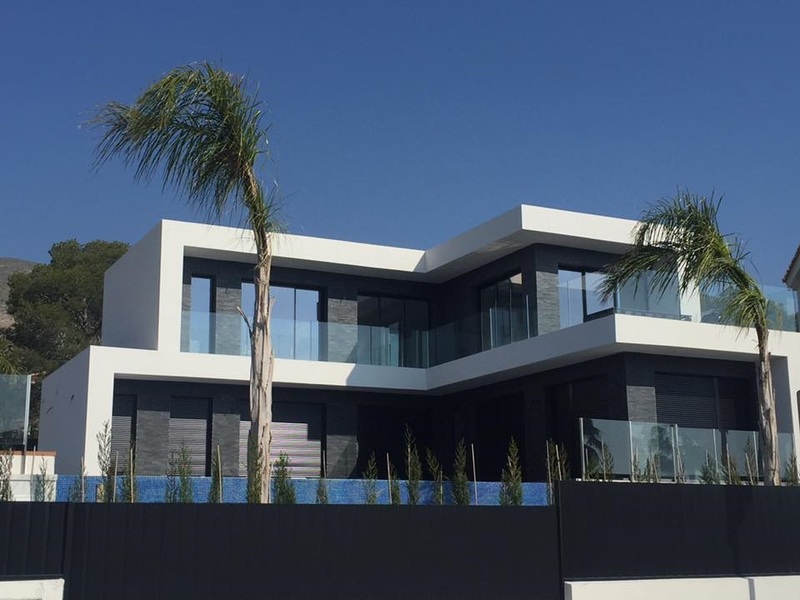 Contemporary Modern Detached Villa – 2, 3, 4 or 5 bedrooms, 3 bathrooms with Private Swimming Pool and Gardens. 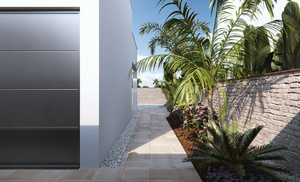 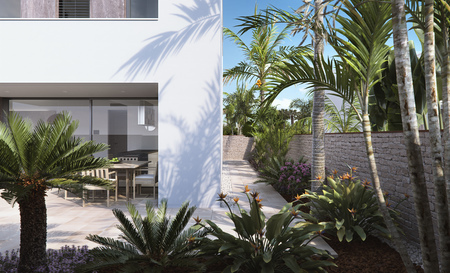 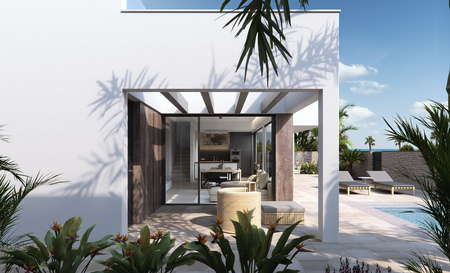 Exclusive Residential of 12 single family homes just 100 meters from the beach of Higuericas in Torre de la Horadada. 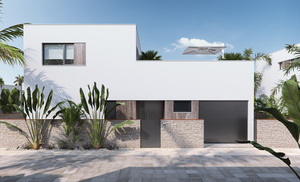 In this promotion the Swiss architect Massimo Di Caudo is looking for a division between the buildings in the longitudinal direction and between them a common access area to the garages of four of the houses. Each house has independent access from the streets surrounding the plot, as there are no adjoining buildings. 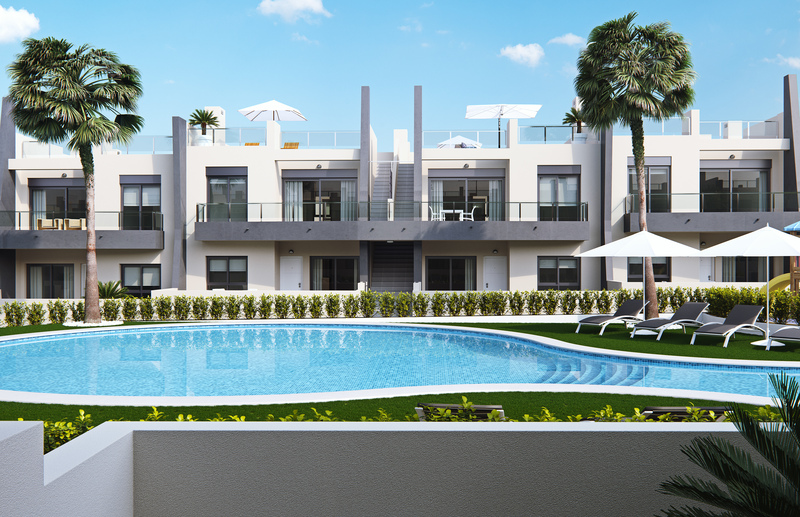 Low traffic streets and large green areas surrounding the residential, ideal for the youngest of the family. With 2, 3, 4 or 5 bedrooms, one of them with bathroom en-suite and dressing room, kitchen with an open concept completely furnished with top quality materials to be chosen for the owner, including appliances, large windows that provide throughout the day giving light and direct access to the pool and private gardens completely finished. 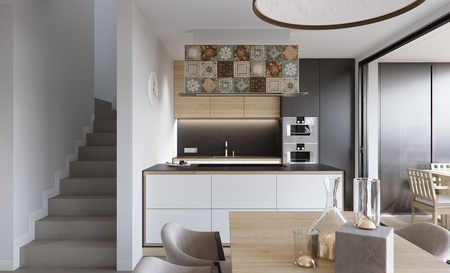 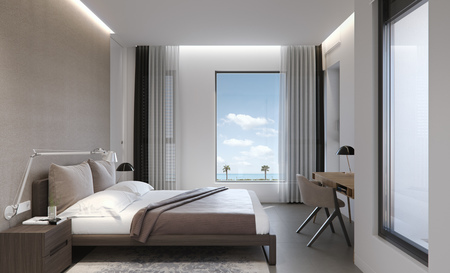 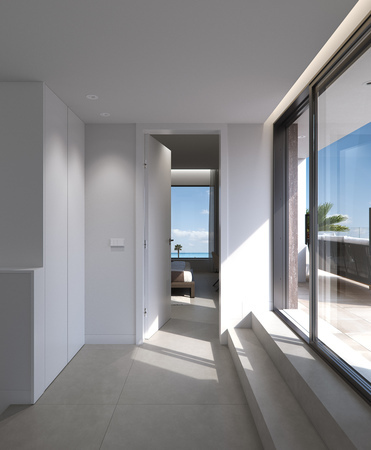 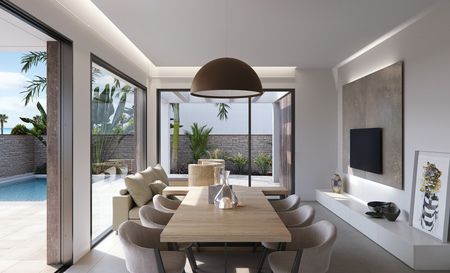 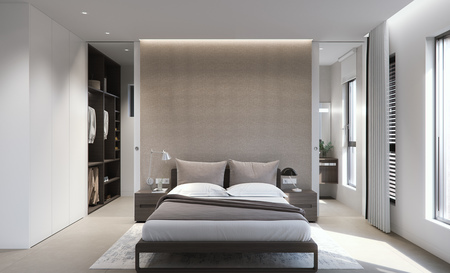 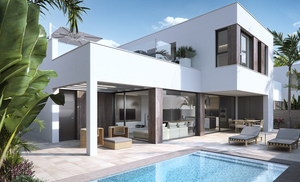 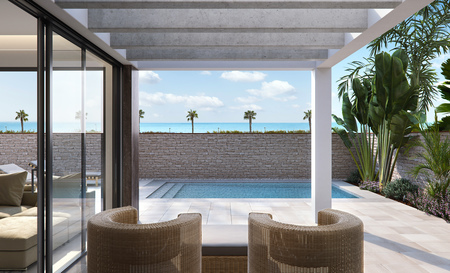 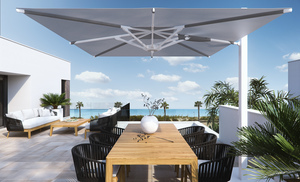 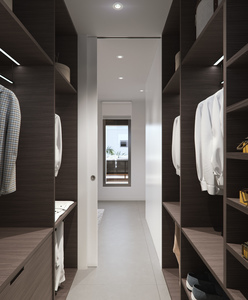 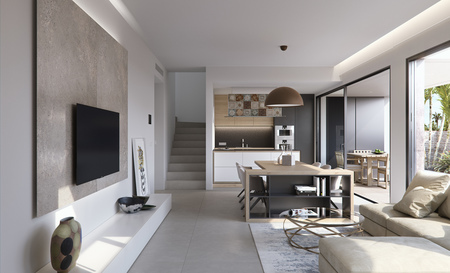 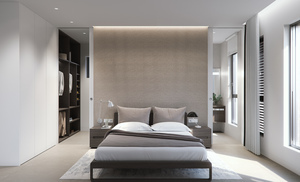 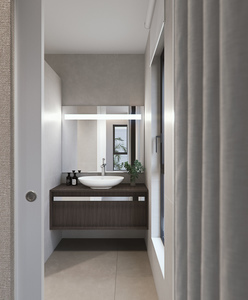 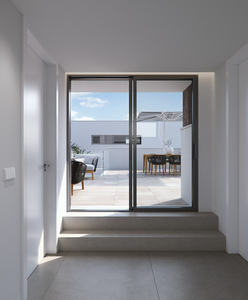 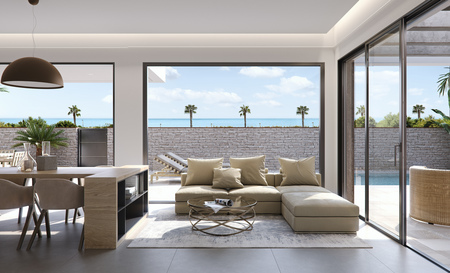 In all the villas, a micro climate achieved in each living space thanks to its design and the distribution of interior spaces, which together with the thermal and acoustic insulation, creates a harmonious and comfortable environment, with a special emphasis on sustainable housing and respectful of the environment. Air conditioning (cold/hot) by ducts included. 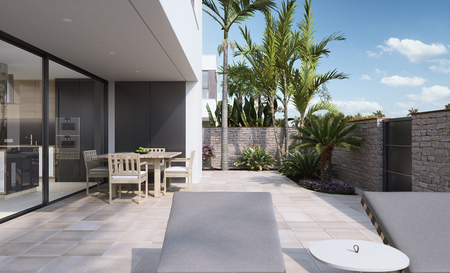 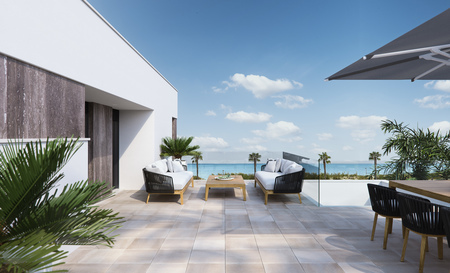 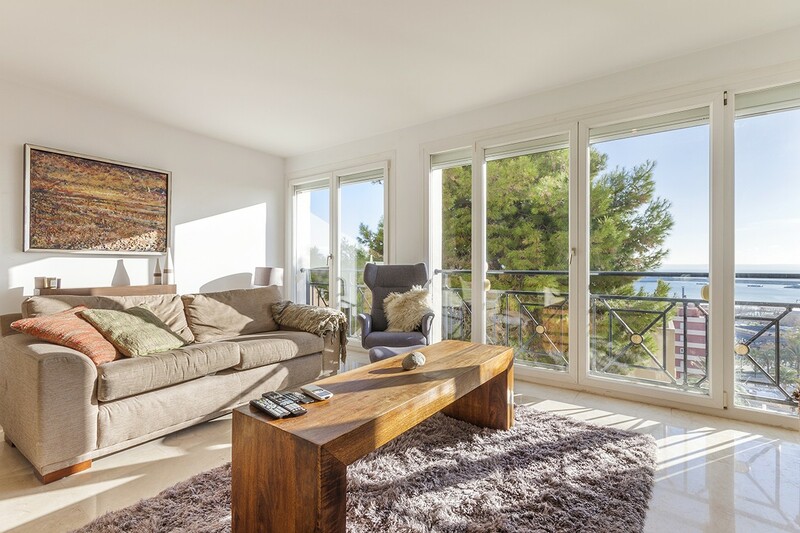 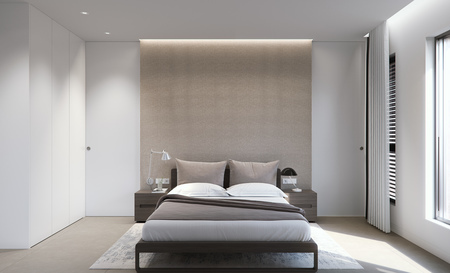 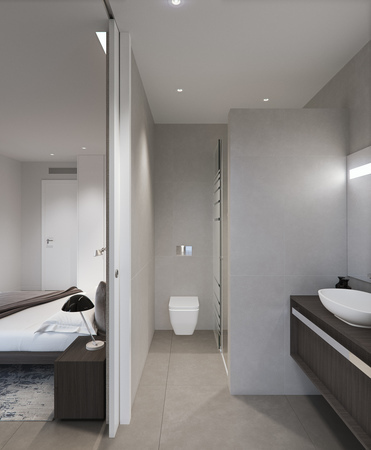 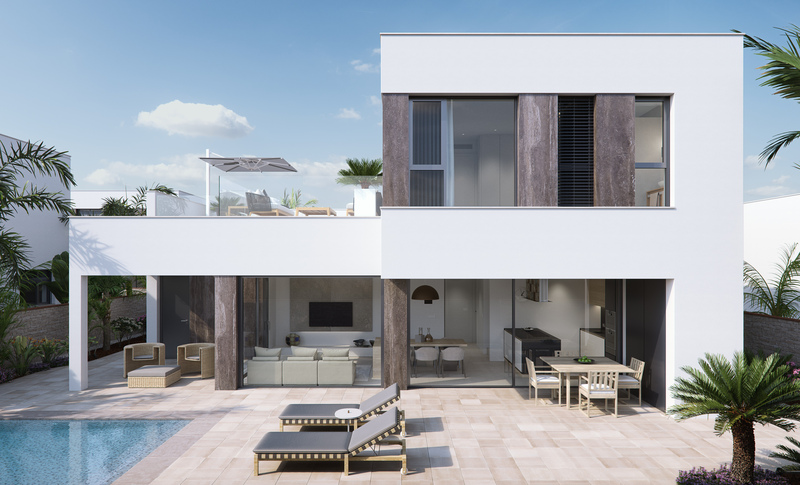 Caring for the smallest details in the finishes, using the highest quality materials, the personalised design and the luxury without forgetting the maximum comfort, you get the enjoyment of the houses both in summer and in the mild winter, making it habitable all year round. In addition to large garage with separate entrance or common access in some of the homes, laundry and storage. 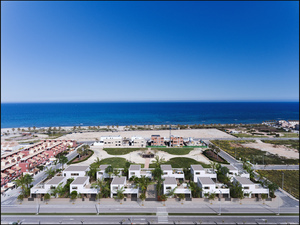 The residential is located 100m from Las Higuericas beach, in Torre de la Horadada, a paradise in all aspects, where you can enjoy the coastline, the immensity of the Mediterranean sea, the promenade, refreshing baths in the sea, water sports, sailing, surfing, snorkelling… 5 minutes from Torre de la Horadada’s port and 10 minutes from San Pedro del Pinatar’s port, the best restaurants where you can enjoy the best Mediterranean gastronomy. 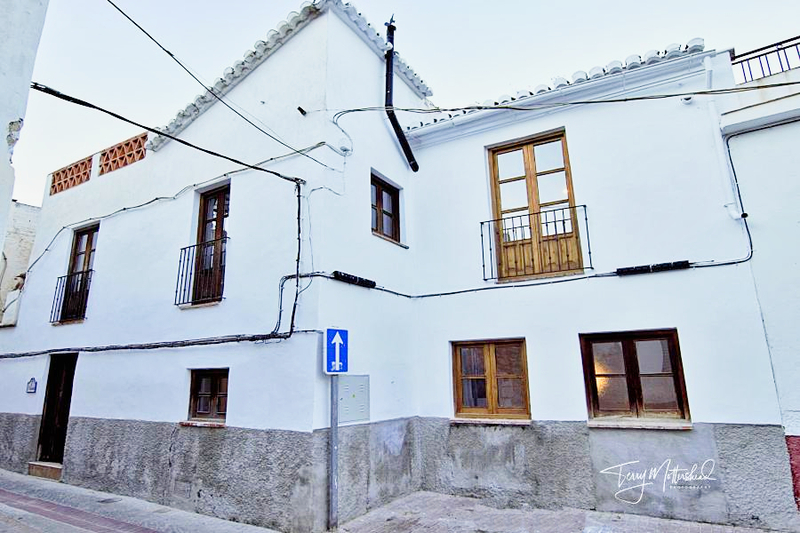 The nearest town to the area where the promotion is located is the Pilar de la Horadada, 1 km away, a quiet village that has all kinds of services, schools, health centres, police, pharmacies, etc. 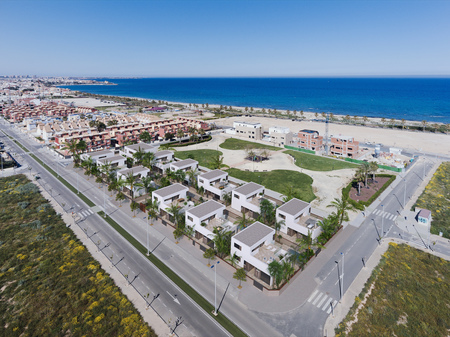 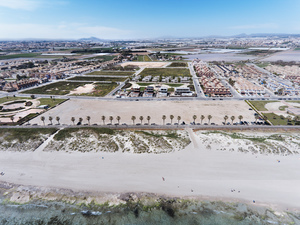 There are also two shopping areas, Dos Mares shopping centre in San Javier, 5 minutes by car and La Zenia Boulevard, in Orihuela Costa 15 minutes by car.